Reports: Wales-South Africa To Play In Washington, D.C.
A little while ago it was reported that Wales were looking to play a match in the United States this summer ahead of their tour of Argentina. In a cringe-worthy quote WRU Chief Executive Martyn Phillips insulted the Eagles by deeming them not "a proper side." The full quote is "It wouldn't be against America. We would play another side, a proper side in the U.S, the week before Argentina, on June 2." Instead of the Eagles, Wales will play South Africa on June 2nd in Washington, D.C. Which stadium in D.C. will host the match is still a question. The new soccer-specific Audi Field is not going to be ready before July. They could play in RFK, the former home of D.C. United and the Nationals. That seems the most likely as it is sitting vacant for the most part and can probably be had for cheap. The only downside is that it might be one of the worst venues in America given it's rundown state. Another choice is FedExField in the Maryland suburbs. It certainly has the capacity but with it being unclear how many people would show up for a Wales-South Africa match it risks looking empty. 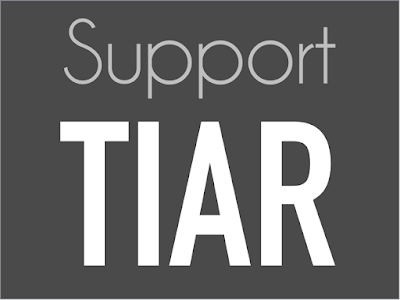 TIAR is currently holding a pledge drive. If you liked what you read consider a donation. As a American rugger this game has 0% interest to me. And I would hope because of the direct insult that others would "boycott" attending this game. And if you do choose to go let's make it a majority SA sided stadium atmosphere. No insult he just said it wrong. He meant a team like the Barbarians. I've read that quote at least 50 times and tried to look at it from various angles. It may have been poor word choice, but I just can't see how you interpeted that as him meaning the Barbarians (or the like). Maybe its just over my head, but where I'm from if it looks like crap, smells like crap, its probably crap. Do we really get enough top level matches in the states to actually warrant boycotting a particular match? Maybe he was targeting DeeCee as a venue and thought that the particular word choice/pharsing might appeal to POTUS train of thought.